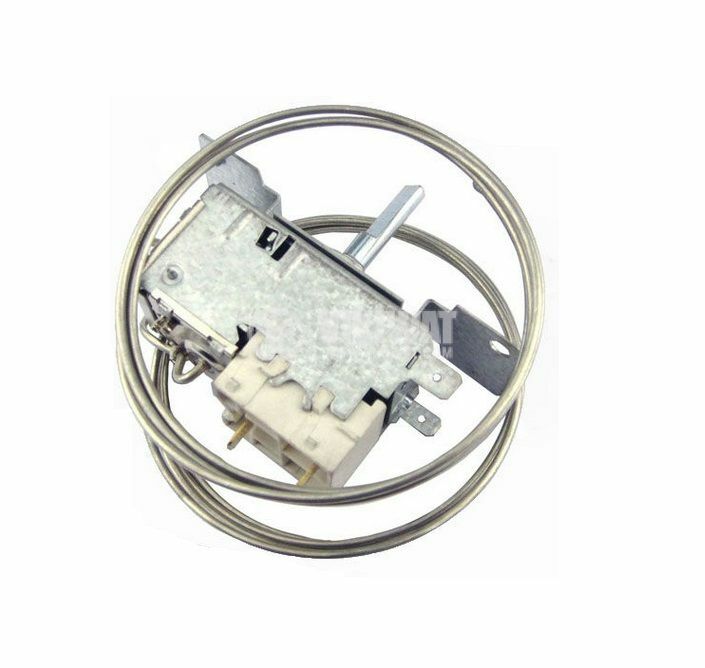 Capillary thermostat for refrigerators and freezers model K52-L4510 with temperature adjustment range -14.5 °C to +3.5 °C. 1 normally closed contact (NC). 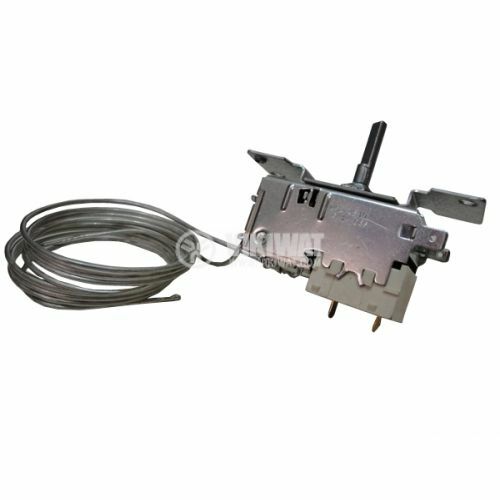 Load capacity 6 A / 250 VAC.